Не знаю зачем, но Гугол запустил сервис «Bodybrowser». Скорее всего для демонстрации некоторых возможностей браузера Google Chrome. 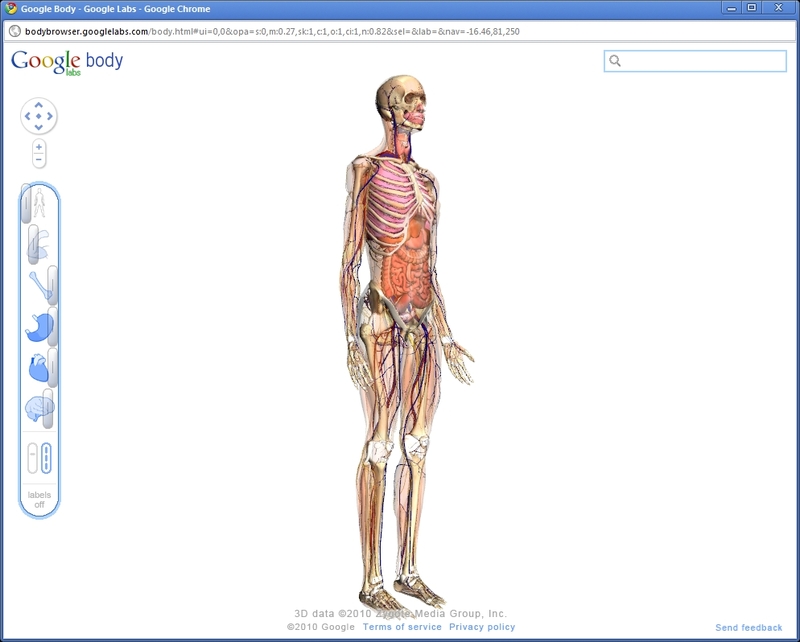 Explore a detailed 3D model of the human body. Google Body uses WebGL and taps directly into the GPU to accelerate rendering of 3D scenes. Take it for a spin and learn about different layers of anatomy by moving the slider or toggling layers on and off with the buttons. Not sure where something is? Try the search box! The male model is still under construction. Previous Article← Дед Мазай и зайцы.